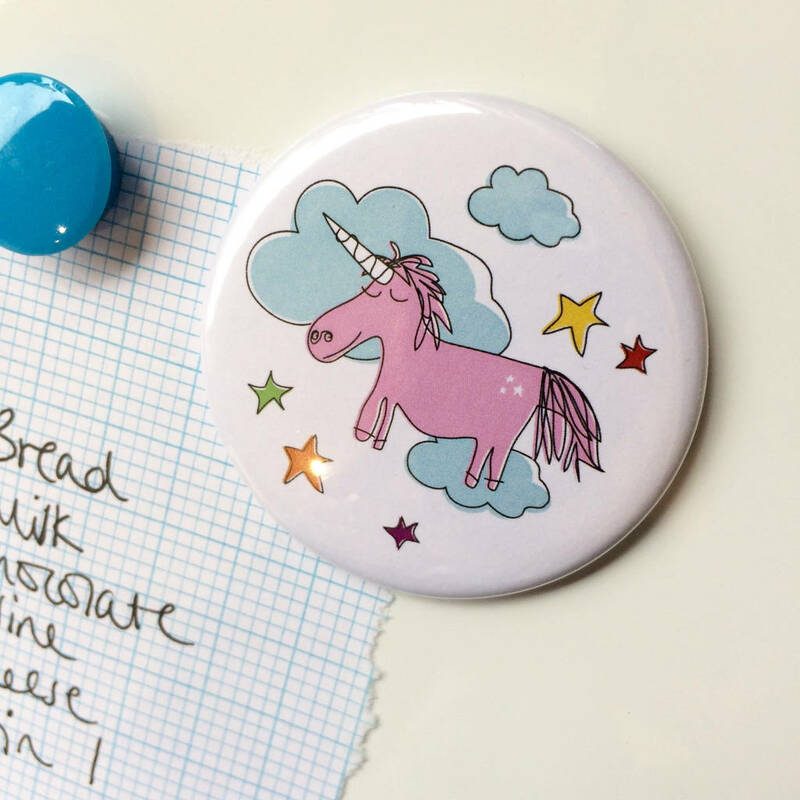 A large unicorn magnet for keeping letters, children's artwork or shopping lists magically stuck to your fridge or a magnet board. 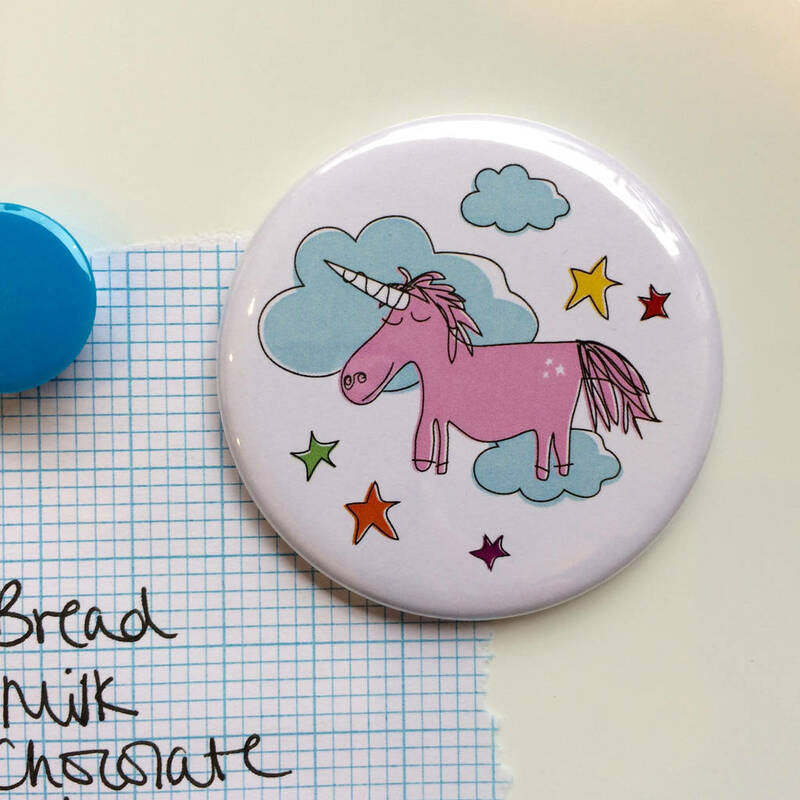 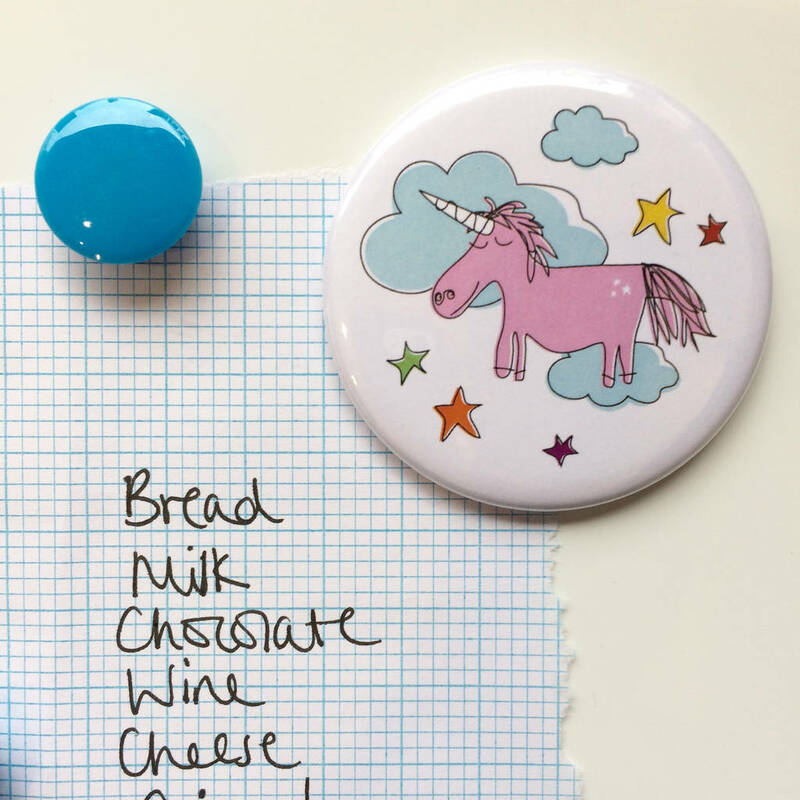 This unicorn fridge magnet is absolutely perfect as a little gift for a friend to make them smile. 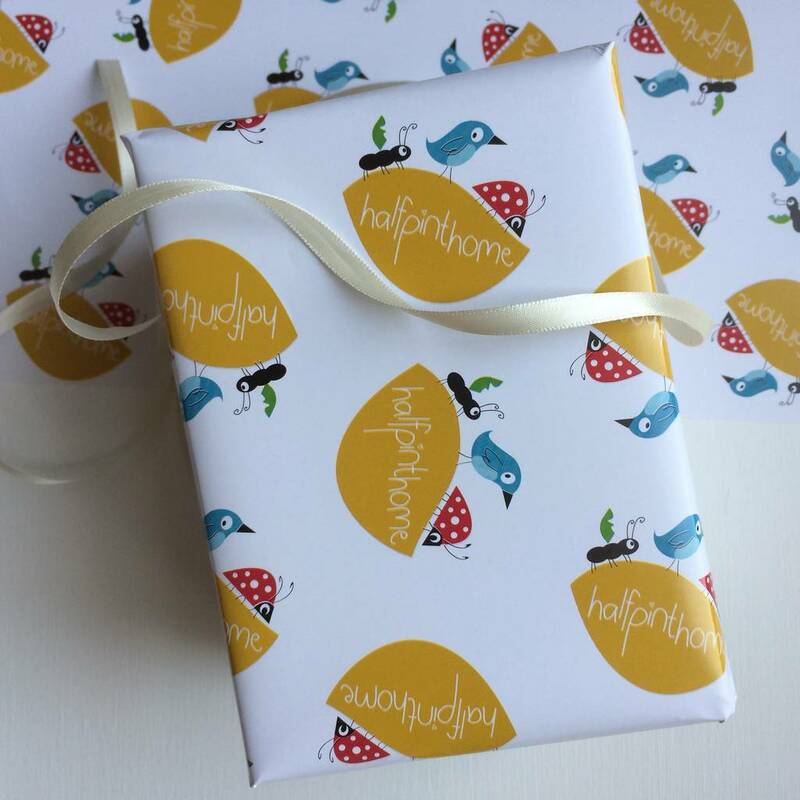 It also makes a great stocking filler or secret Santa gift at Christmas. Great for a unicorn lover! 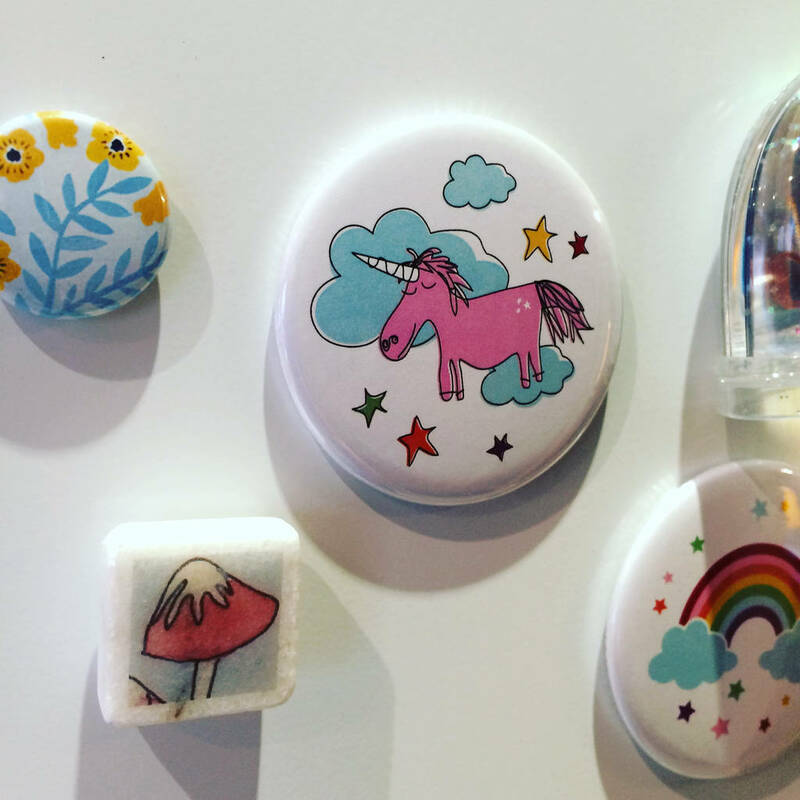 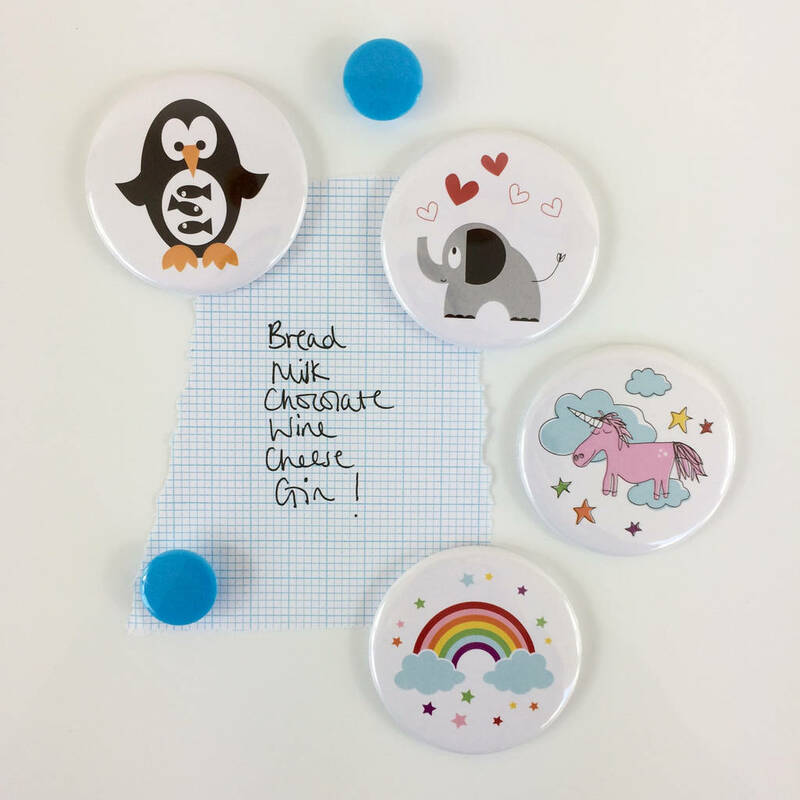 You can choose between a single magnet or a set of 5 magnets which are great for large fridges or as table favours and used as party bag fillers. 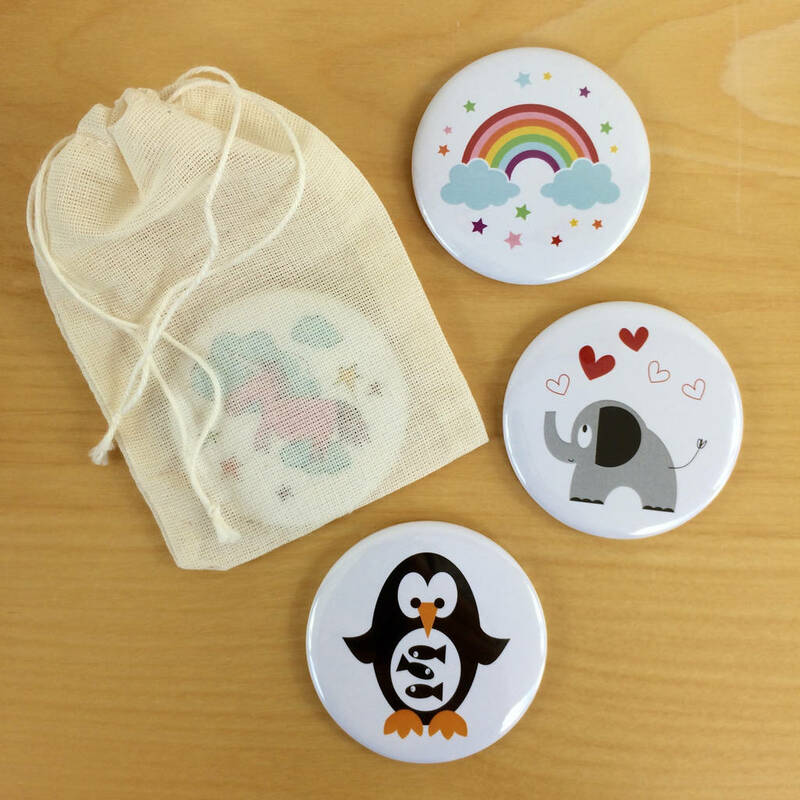 Each magnet or set of magnets will come wrapped in tissue and be sent in a little muslin pouch so it can be gifted straight away. 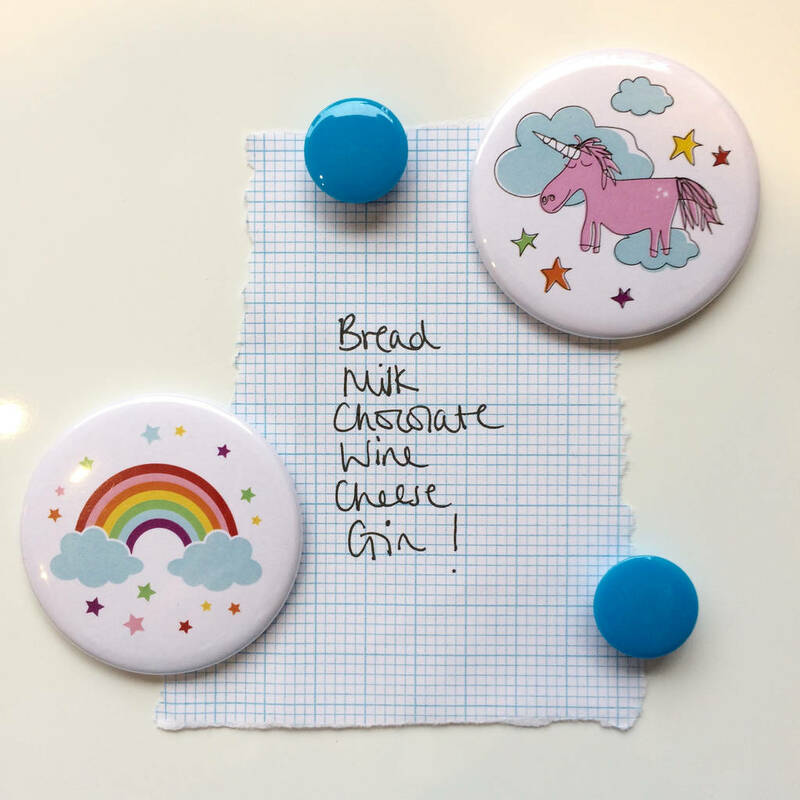 It's large magnet makes is strong enough to hold up kids drawings, lists, letters, photos and postcards and it's low profile means it won't get brushed off easily! 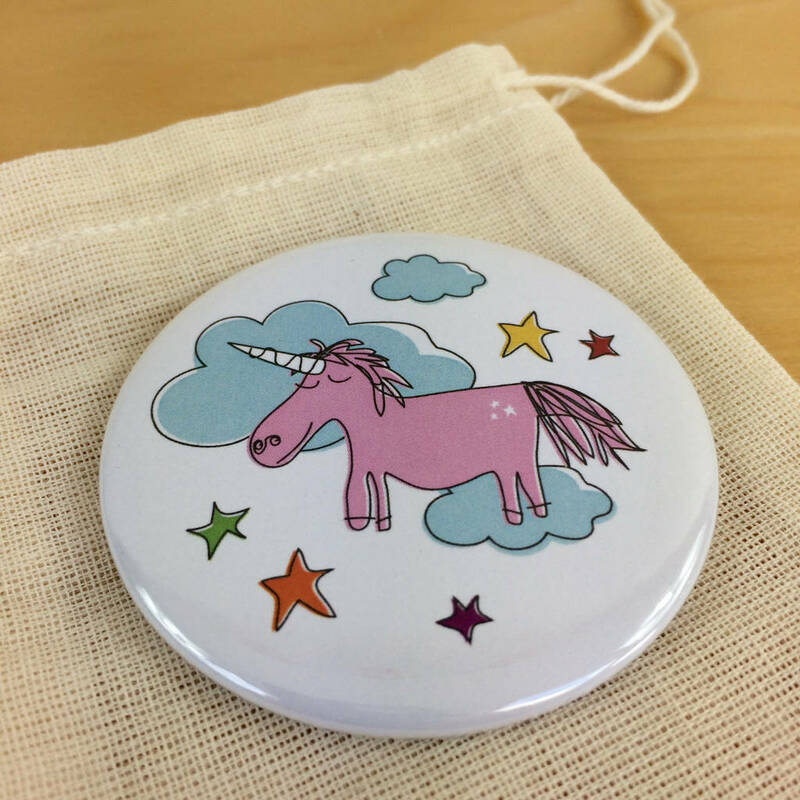 This magnet has a glossy surface and is 58mm across.